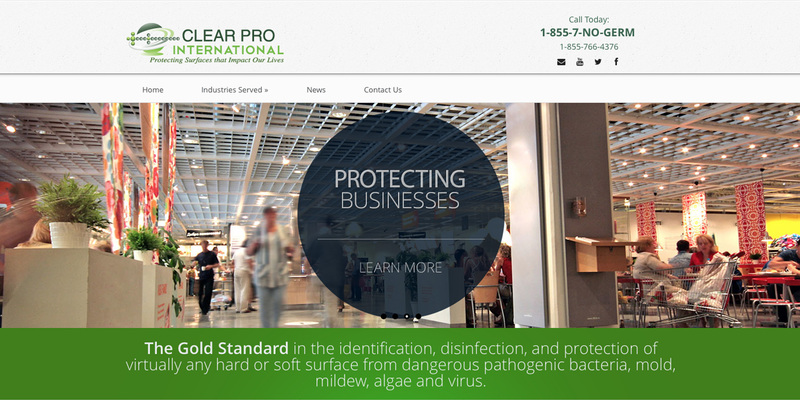 Clear Pro International needed a website to educate consumers about their anti-microbial spray technology. 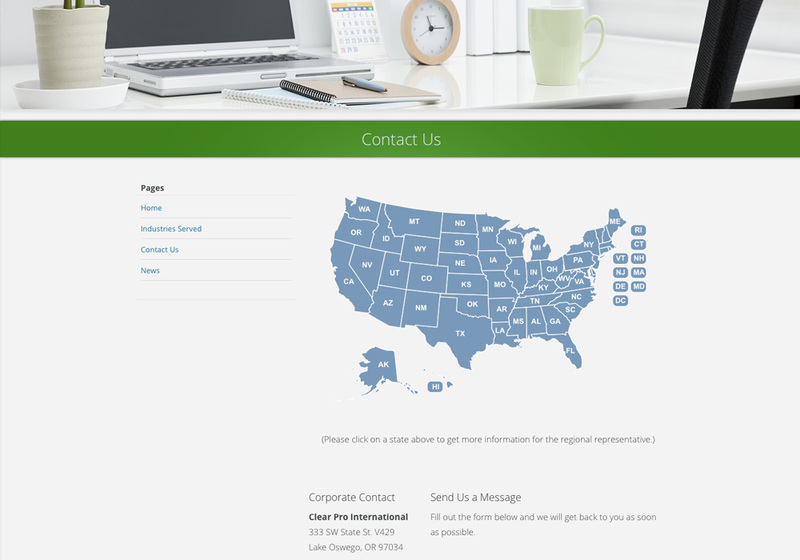 At the same time, they are growing their dealer network and needed a way for visitors that are interested in the product to contact their local dealer. 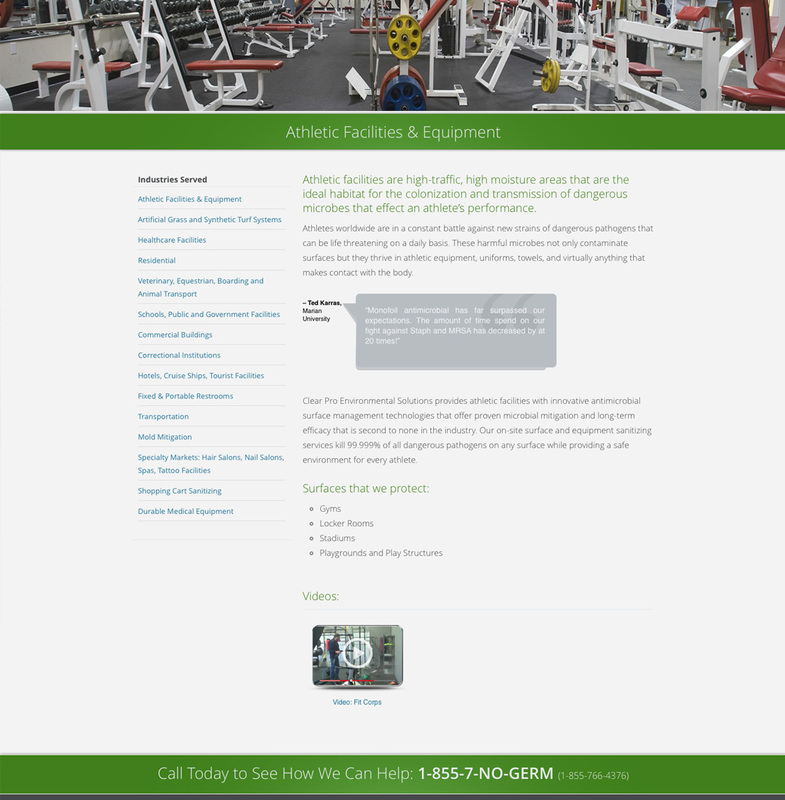 Clear Pro already had existing marketing materials that they had created prior to the website. 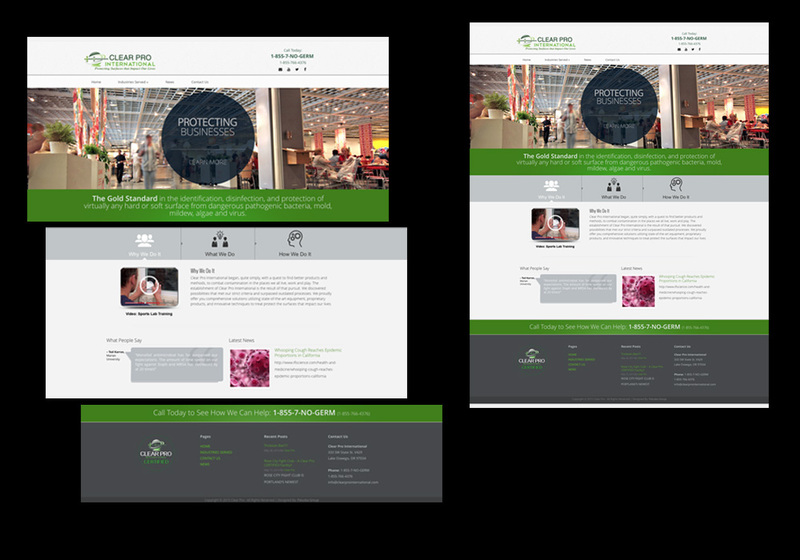 We took the art direction from these materials and matched them so that the experience both online and offline was congruent. 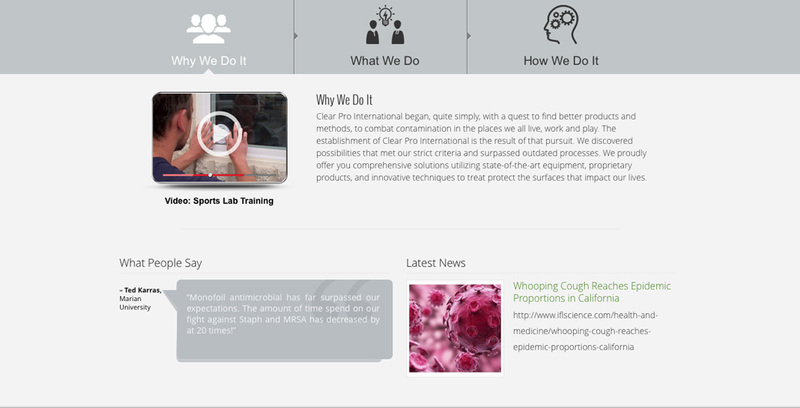 Clear Pro had a vast library of videos that they had from old marketing campaigns. So we decided to convert the videos, create a new YouTube channel and place them throughout the site. 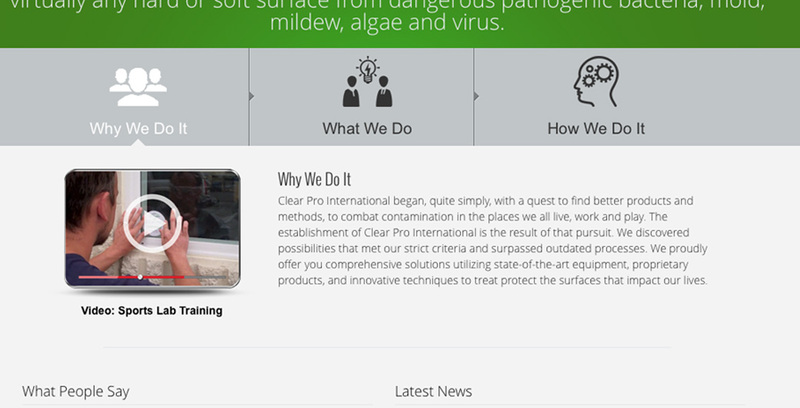 We create a three panel informational section on the homepage that allowed us to quickly inform the visitor of what Clear Pro does and how they do it. 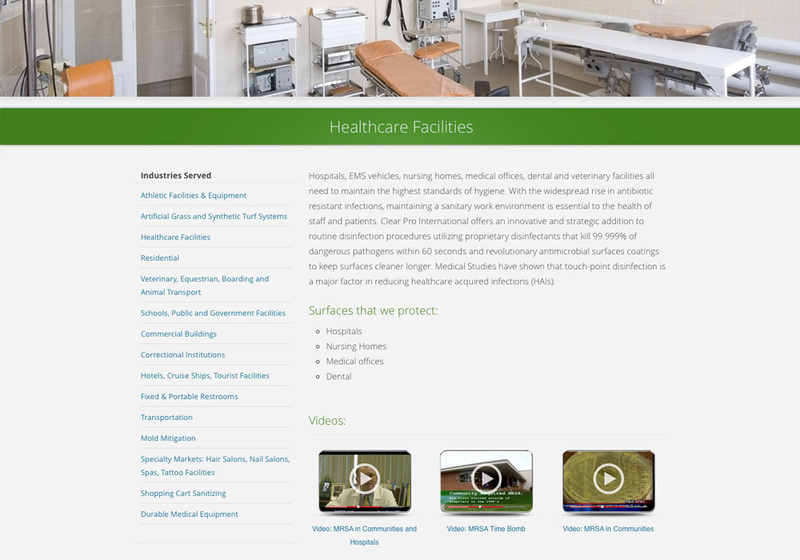 We also made it possible to highlight more videos in this section.